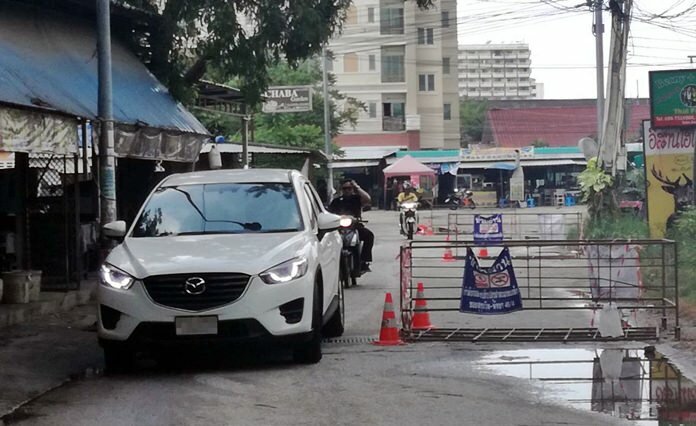 Add another item to the long list of Pattaya public-works projects that didn’t finish on time. The latest job to miss its deadline is the 3.9-million-baht effort to replace 112 drain covers on Sukhumvit Soi 46/1. 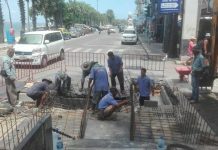 Work began on the so-called “Soi Batman” Dec. 1 with contractor Fortune S Trading Co. scheduled to finishing replacing all the 0.6-by-2.2-meter grates by Jan. 27. Fortune workers had disappeared long before that deadline came and went, leaving one lane closed and the neighborhood with a mess. Once Jan. 27 passed, residents wasted no time in leveling complaints at Pattaya City Hall.